It is no secret that fashion is the best vessel to use to appreciate and celebrate the culture of any country. Moreover, in modern days, nationality in itself is a brand in the world of fashion. As much as trends in fashion are becoming homogenized, there are still certain trends that still represent the culture and originality of certain countries. Russia, for instance, is not just the largest country in the world but it also boasts of unique styles in fashion. Nevertheless, Russia as a vast country features a diversified culture thanks to the 190 ethnicities that reside in the nation. Generally, the styles and dress codes within the country are being homogenized as time goes by. The leather is synonymous with most style in Russia. For this reason, most clothes are occasionally lined with leather and fur to complete the design. In addition to that, leather is highly predominant among Russian men. Russian women on the other hand love to flaunt high heels, colorful blouses, and the traditional long skirt or dress. Traditional Russian clothing is exquisitely designed to bring out the emotional restraint of whoever rocks them as well as their dignity within. These traditional costumes are not just cute; their colors also display the ethnic diversity. As I mentioned before, Russia is rich in culture and for clothing, there is a variety to choose from. To begin with, there is Kokoshnik, which is the Russian headdress for women. The headgear comes in an array of spectacular colors. There are replicas of the same in the west although the original version is from Russia. On the list is the sarafan a traditional Russian dress that features unique embroidery in silk and brocade. Sarafans can still be bought from any dedicated stores in Russia. Women have another traditional attire, this time a shawl. The shawls are not just beautiful and special, they are 100% woolen. Additionally, the shawls come in two famous varieties including the Pavlovo Posad and the Orenburg. Men have the rubashka Russian shirt made from fine linen ideal for the summer. Style in Russia trends around the world are almost similar. This is not different in Moscow though the designs of winter clothing are somehow distinct. Traditional Russian motifs decorate most of the clothes that are designed in Russia. Some of the renown Russian fashion designers include Ruban, Sputnik 1985, Vika Gazinskaya and Gosha Rubinchinsky among others. 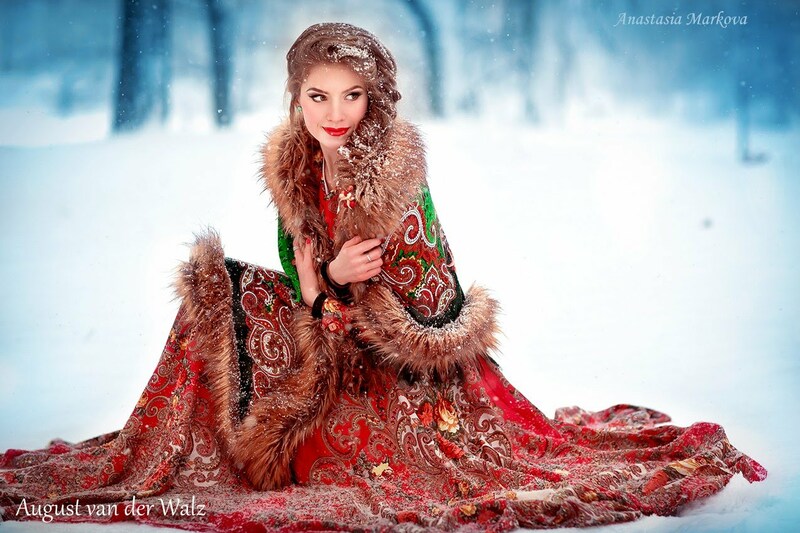 Color is one essential component that makes Russian clothing to stand out. “Krasny” means beautiful in Russia and the word is believed to have been named after the color red. This simply confirms the essence of color in the Russian culture. However, men and women usually have a different taste for colors. Women always like to flaunt bright colors, unlike men who prefer calm ones. Besides that, black and white seem to be elegant with most Russians. Similarly, there are different colors set for different occasions. Colors in Russia tell of one’s economic status or lifestyle. Therefore, if you are planning to visit Russia any time soon ensure that you are updated on the fashion. You may choose to go modern or traditional based on whichever interests you.